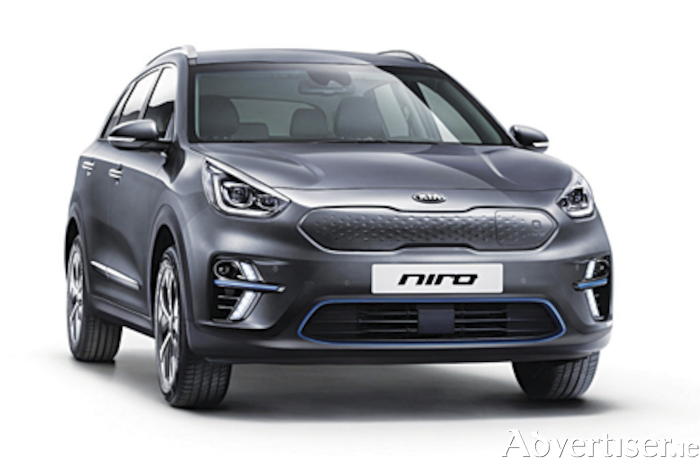 Kia says that the all new Kia e-Niro will offer owners a driving range of up to 485 kilometres on a single charge when it goes on sale across europe at the end of the year. The e-Niro, Kia’s first fully electric crossover utility vehicle, will be revealed in european specification at the Paris Motor Show, before sales begin later this year. European homologation on the WLTP combined cycle has confirmed the 485km range for the e-Niro when powered by the high capacity 64 kWh lithium ion polymer battery. On the WLTP ‘urban’ test cycle, the e-Niro is capable of travelling for up to 615km, further than many gasoline cars. Plugged into a 100kW fast charger, it takes only 54 minutes to recharge the e-Niro’s 64 kWh battery to 80 percent. The car’s standard 39.2 kWh power pack has also been rated, offering drivers up to 312km of zero emissions motoring on a full charge (WLTP combined cycle ). Kia says that the e-Niro will be one of the most capable electric vehicles when sales commence, combining driving enjoyment, eye-catching design, crossover utility and a zero-emissions powertrain. The new e-Niro joins existing Hybrid and plug-in hybrid variants of the Niro, of which more than 200,000 have sold globally since its introduction in 2016. To date, europe has accounted for more than 65,000 sales of the hybrid crossover. Models equipped with the long-distance 64 kWh battery pack are paired with a 150 kW (204 ps ) motor, producing 395 Nm torque, enabling the e-Niro to accelerate from 0 to 100 kph in just 7.8 seconds. The standard 39.2 kWh battery pack is matched to a 100 kW (136 ps ) motor, also producing 395 Nm torque, and accelerating to 100kph from a standstill in 9.8 seconds. Like the Niro hybrid and plug-in hybrid variants, the e-Niro is front wheel drive. The e-Niro provides owners with a range of technologies to enhance battery efficiency and improve the car’s range, including regenerative braking, Coasting Guide Control (CGC ), and Predictive Energy Control (PEC ). The technologies enable drivers to recharge the battery pack and maximise vehicle range when coasting or braking. CGC and PEC are linked to the navigation system and account for upcoming corners and topographic changes, suggesting when drivers could coast in order to harvest additional energy. The e-Niro will be covered by Kia’s seven year, 150,000 kilometre warranty as standard. The warranty also covers the battery pack and electric motor.